The Independent newspaper, a standard bearer for Britain’s left-wing media establishment for 29 years, has announced that it will close its print section and go “online only” from March 2016. 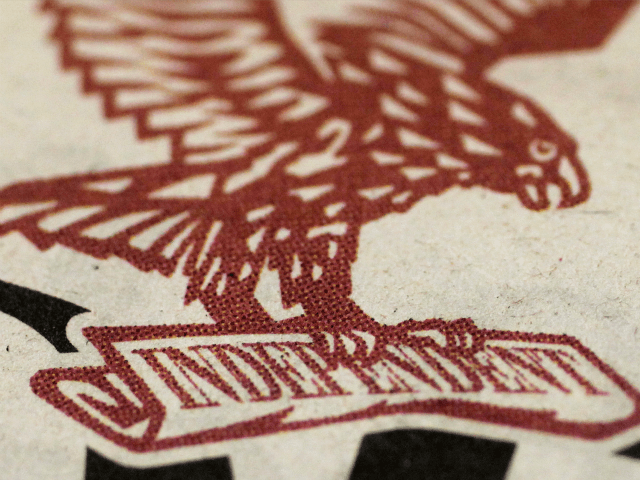 The owners of the Independent and the Independent on Sunday, ESI Media, have confirmed that they will cease printing operations for the papers in March. They are currently in talks with Johnson Press to sell sister-publication i for £24 million. ESI Media owner Evgeny Lebedev confirmed the changes in a letter to employees writing: “I can now confirm we are selling The Independent’s sister paper, i, to Johnston Press, subject to Johnston Press shareholder approval. The newspaper is renowned for its heavily left-wing slant, often using its front pages to promote the euro currency, climate change, and radical feminism. But since being taken over by Russian billionaires Alexander and Evgeny Lebedev, the paper has suffered not just a decline in its already low readership, but also a slew of journalistic faux pas. Recently, the paper published falsehoods asserted by one its flagship columnists, Yasmin Alibhai Brown, as well as repeatedly calling for smear tactics to be used to discredit Eurosceptic voices in Britain. The paper has become increasingly reliant on “clickbait” articles on its i100 website, a site that pumps out 200-word media reaction stories and internet memes. And the paper has been an integral part of the “Islamophobia” industry – churning out articles that claim “Islamophobia” even though police investigations ruled against such assertions. All of this and more led Breitbart London’s Editor in Chief Raheem Kassam to predict the end of the Independent on December 7th last year, repeating his forecast on December 31st. On Breitbart London, Kassam wrote: “The decline of the mainstream media continues apace as the public loses trust in the BBC, the Times, even channels like Fox News. I fully expect a major UK national newspaper to fold or take it to “online only””. On January 26th, the Independent hit back, claiming U.S. Presidential candidate Donald Trump was only succeeding because of Breitbart readers and their “racism”. The paper was subsequently exposed for employing Islamist extremists. The paper had a circulation of around 60,000 on weekdays, and around 100,000 on Sundays. The last edition of the Independent is expected to be on 26th March and the last Independent on Sunday on 20 March. ESI Media, which also owns TV station London Live and the British capital’s Evening Standard daily, said it would be “the first national newspaper to embrace a global, digital-only future”. “A significant number of employees are expected to move across to Johnston Press,” it said, warning that there would be “some redundancies”.